Canada’s free-trade agreement with Colombia passed Monday in the House of Commons with the backing of the Liberals, sealing a deal much criticized by human rights groups but which the federal government says will create jobs and boost exports. MPs voted 188-79, with the NDP and Bloc Québécois opposing the deal. 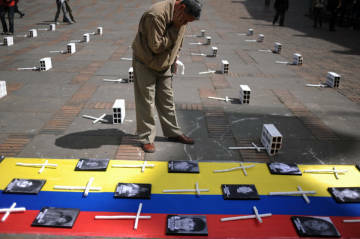 A contentious aspect of the agreement will see the Colombian and Canadian governments each assess the impact of the deal on human rights in each other’s country – a clause rights groups say lacks independent scrutiny and fails to spell out consequences should abuses occur. After more 150 hours of debate in the House and at an international trade committee, Canada should act decisively to bolster trade ties with Colombia, said Liberal MP Scott Brison, who proposed the side agreement on human rights in March. “This has been studied more than almost any other legislation I can think of. Getting this ratified is going to give us a head start, and Canadian interests an advantage. It’s time to move this further along,” he said. It’s the first time Canada has introduced this type of annual reporting on human rights, he said. Each country’s foreign affairs department would oversee the report, though the agreement doesn’t stipulate that NGOs or members of the public need to be consulted. Colombia is Canada’s fourth-largest trading partner in South America and is seeing a wave in interest from foreign investors in the past year, particularly in the mining and oil-and-gas industries. The Harper government says the deal will strengthen demand for Canadian exports such as grain, beef and pork, and comes as many indicators show Colombia has made improvements in its human-rights record. Rights groups and unions, however, say respect for human rights has deteriorated, particularly for indigenous groups, trade unionists and afro-Colombians. The rights situation in Colombia is by no means perfect, but opening trade is the best way to improve living standards in the country, said Conservative MP Gerald Keddy.